Born: February 7, 1943 - Battersea, London, England, UK. 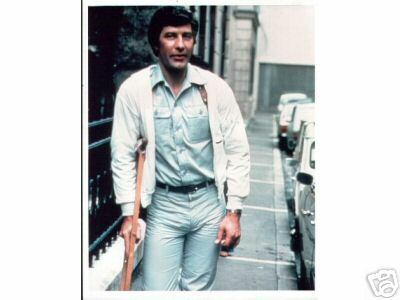 Portrayed: Mike Gambit in the 1970s English TV spy series The New Avengers. Married three times, he has three sons, is an avid golfer, and lives in Epsom, Surrey with his wife Mandy. He was the Director of e-Media-c. A casting site where you can register your details at a cost and then your entry can have video as well as a number of photographs. It looks like a good area for casting agents because of this extra content. See the New Avengers Page. IMDB - Gareth Hunt's listing in the Internet Movie Database. Gareth also appeared in Nescafe commercials with Diane Keen. Ask Gambit - by "With Umbrella, Charm and Bowler' A tongue in cheek advice column. Participate in web discussions on TheAvengers.TV International Forum. Yahoo! Groups: Mike_Gambit. Owner is CalWestray. Order "The Avengers" and "The New Avengers" on DVD at A&E!